Search children birthday ideas on Pinterest, and you’re bound to be overwhelmed. The amount of work and money some people put into their child’s birthday party is astounding. Children should definitely be celebrated on their birthdays, but there’s no reason to spend hundreds of dollars on one day. 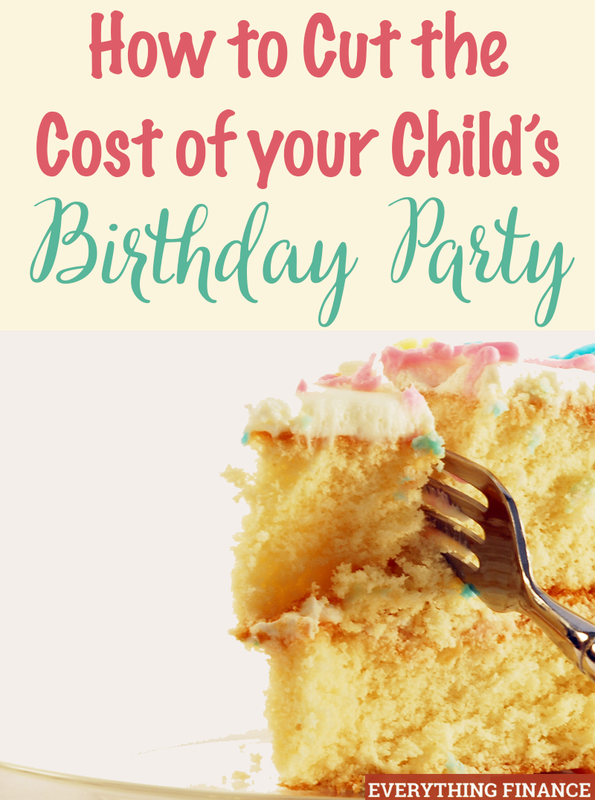 Here are my top 3 tips to cut the cost of your child’s birthday party. Designer cakes and cupcakes are quite the rage. While these desserts look amazing, they can cost $100 or more for your custom creation. Honestly, kids aren’t going to care whether their cake came from a fancy bakery or from a $1 box. You can easily customize any cheap cake box with fun, DIY decorations. The birthday dessert may not look Pinterest-worthy, but as long as it tastes good, then I’m sure your child will be a happy camper. For my daughter’s first birthday, I wanted something simple. I did a quick search on Craigslist and happened to find a set of first birthday leftovers for about $10. Funny enough – it had been the same design I was looking at when I went to Party City. This simple move saved me $20-30 on birthday decorations. You can find a lot of party supplies on Craigslist and eBay. Let someone else go all out and spend their money on decorations for their kid’s birthdays, and then buy the leftovers for next to nothing. When searching Craigslist, try expanding your search to wedding decorations, since you may find some fun stuff that way, too. As if having several of your child’s friends over is not entertaining enough, there seems to be an unspoken rule that you also need to hire party entertainment. A magician or Elsa impersonator can cost you up to $200. There are several more affordable entertainment options available. Kids will love doing an inexpensive craft or decorating their own cupcakes. Kids also love scavenger hunts, water balloon fights, and other easy party games. Don’t over-think fun activities if you want to save money. If you still want to hire an additional person, try hiring a high school or college student for the day. Most young adults are happy to work for $12-15 an hour. They can dress up, paint faces, paint nails, or just supervise a fun and simple activity. I think every child deserves to be celebrated on their birthday. In fact, I only had one big birthday party: my parents planned the games and invited my whole class from school. You can bet that that birthday party (which was over 20 years ago) still sticks out as my favorite. So please, make your kids feel special, but also remember that you don’t need to spend a fortune to do so.